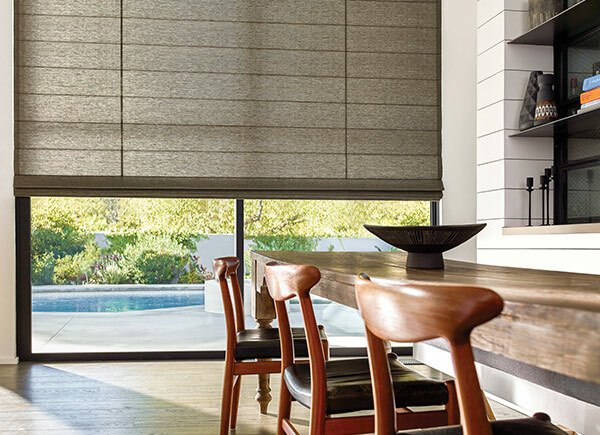 All Woven Wood Shades are handcrafted in the USA by our skilled artisans and ship free in 10 days or less. Sustainability never looked so good. 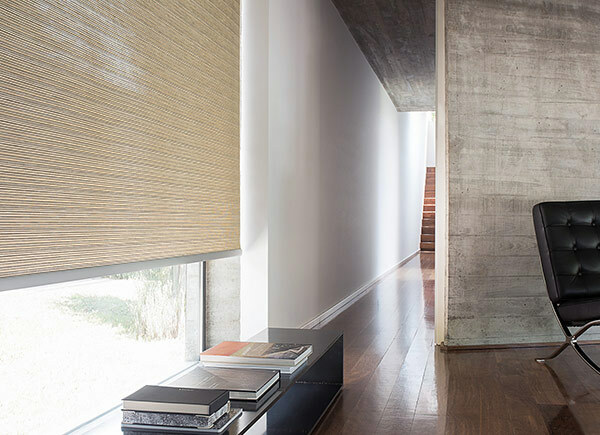 Handcrafted from the finest natural materials, bamboo and grasses. Material falls off the front of the headrail. 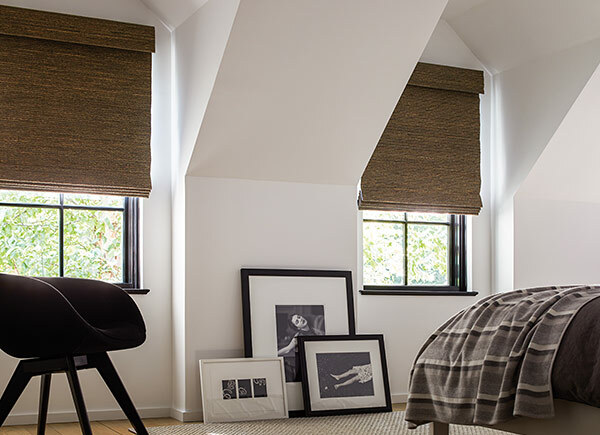 Reconnect with nature and style with this elegant woven wood design. Made from eco-friendly weaves. Hand-stitched pleats and hand-sewn dowels result in this perfect balance of beauty and versatility. 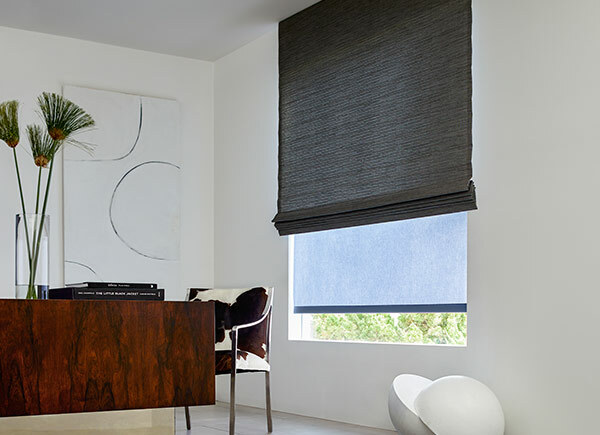 The sleek style of Roller Shades paired with beautiful organic weaves from our exclusive Naturals Collection.